Burst pipes often occur unexpectedly and without warning. 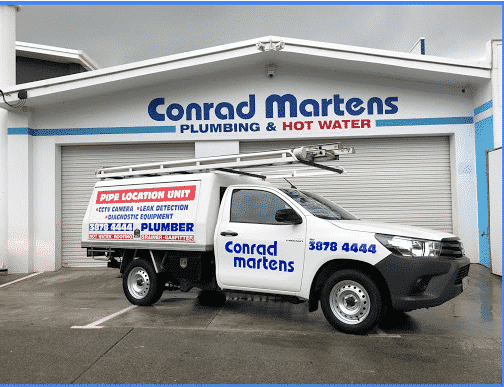 Our tradesman are on call to provide a rapid response for water leaks across Brisbane and surrounding areas. We repair copper, galvanised, poly and pex pipework in exposed and concealed locations. In order to provide the most efficient service possible, our plumbers carry a range of replacement parts and fittings on board. 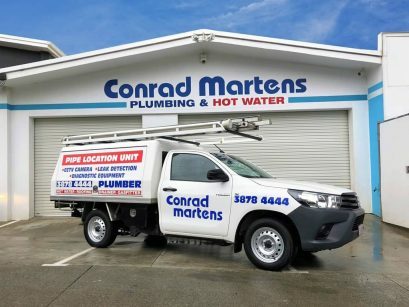 Here at Conrad Martens Plumbing Service, we strive to provide the best Price, Service and Advice possible. Our experienced plumbers and leak detection specialists provide prompt and affordable service backed up with a workmanship guarantee. Our workflow is geared towards providing a fast response time for water leaks and emergency work. Whether you need a temporary water service, to repair an existing service or to bypass a damaged sections of pipework, call us for an efficient solution now! 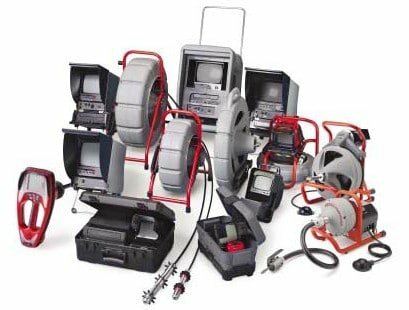 Leak detection is a non-invasive method of locating a burst pipe or water leak in a concealed area. If you are experiencing a high water meter reading, wet patches or seepage issues, you may have a concealed leak. Using state of the art monitoring gear, and drawing from a wealth of experience in the field, our specialised unit can accurately diagnose and rectify leaking water services. The water leak detection process involves pressurising the supply lines to force air bubbles through the faulty section of pipework. With the use of the sophisticated sounding equipment, these air bubbles can then be monitored to detect the location of the problem accurately. This process allows us to detect concealed leaks inside concrete, behind walls and inside service ducts. For more information, or to book an inspection, call our friendly team on 3878 4444. Local and trusted leak detection specialists. To see our customer reviews. Excellent work today by Josh and Ben replacing my 50 year old Gal pipes with bright new copper on a tough hardwood frame. All finished one day after the work request. Efficient, neat and genuinely courteous. Highly commended. I would like to express my thanks for the traffic assistance provided by Ashley last Thursday to restore water and prevent possible mishaps at the property. I was Very happy with Josh who fixed my problem- much appreciated his help at such a busy time of the year. The office staff certainly did a good job getting him to my house ASAP.